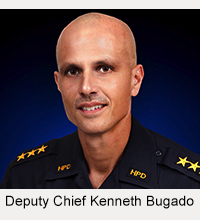 Police Week festivities on the Big Island will be held next week (May 15-21). Police Week is a nationally recognized week of activities in support of police work and in recognition of officers who have died or been disabled in the line of duty. In 1962 President John F. Kennedy proclaimed every May 15th as Peace Officers Memorial Day and the week it falls in as Police Week. 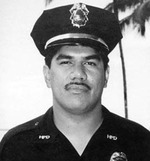 In Hawai’i County, Police Week activities this year are scheduled from Monday, May 16, to Friday, May 20. 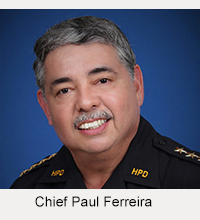 The public is invited to attend formal Police Week ceremonies Monday, May 16, at 9 a.m. at the Hilo Police station and Tuesday, May 17, at 10 a.m. at the Kona police station. Both ceremonies include pre-ceremony entertainment and a tribute to Hawai’i County police officers who gave their lives in the line of duty. Light refreshments will be served.